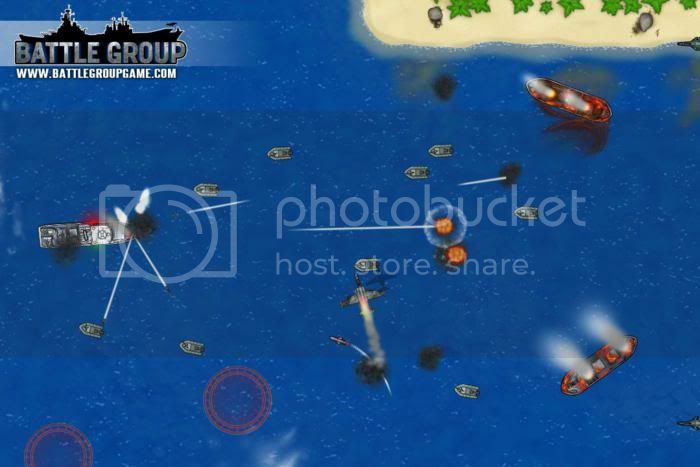 Battle Group thrusts you into modern day naval combat and puts you into the role of fleet commander. Deploy your warships and hunt down the international pirate menace that threatens the vital trade routes of the world. 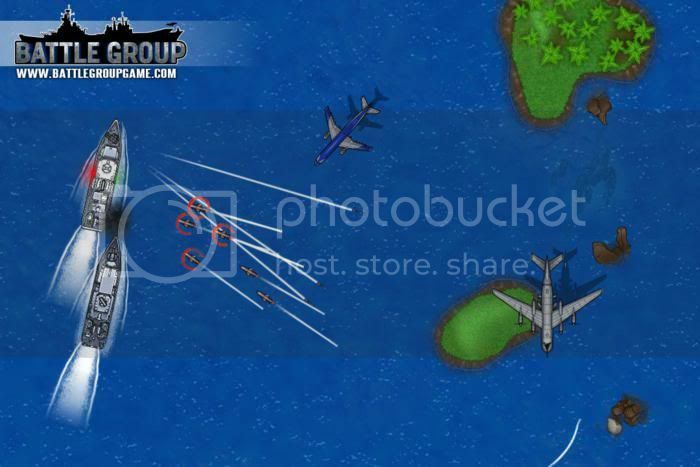 The game world is viewed from a top down perspective and features action orientated naval warfare with a strategic twist. 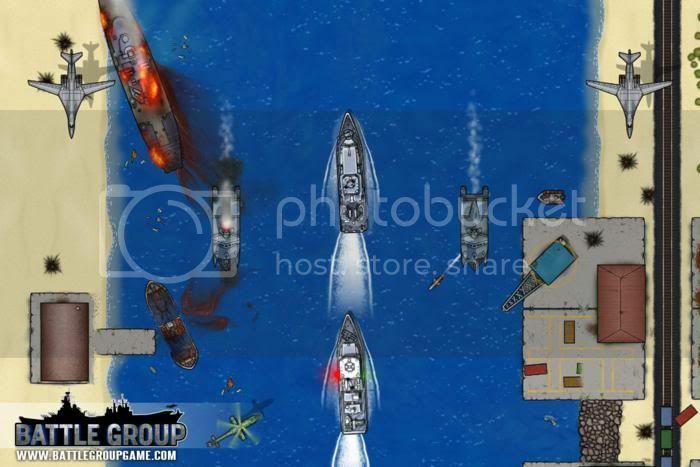 Players command a fleet of real world, modern day fighting ships; directing advanced armaments including anti-air missiles, large calibre naval guns and jump jet interceptors. Quick reactions and tactical decision making will be required to defeat an assortment of land, sea and air based opponents. The story revolves around an international effort to combat a global conglomeration of powerful pirates whose sinister motives are revealed throughout the 20 mission campaign. Use an extensive range of modern armaments from anti-air missiles, to large calibre naval guns and Harrier Jump jets.